This series presents in both paper and electronic format sets of examination papers for medical students and trainees to revise and practice their MCQ technique. 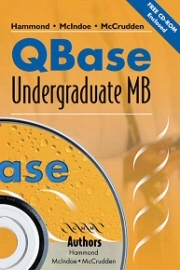 The self-learning experience is greatly enhanced by the free CD-ROM containing the QBase examination software which allows the user to sit the pre-set exams as printed in the book, create their own exams using questions drawn from the total pool available on the CD-ROM and then mark and analyse the results, thus highlighting areas for further revision. Subject areas include anaesthesia, surgery, paediatrics and radiology.